Whether owner/operators choose to burn compliant fuel or go with scrubber equipped tonnage and continue to burn HSFO, passing the full cost of IMO 2020 onto their customers is seen as a tough sell. "Customers fear that IMO 2020 is being used as cover for freight-rate increases and are likely to scrutinize new fuel adjustment mechanisms carefully," said Berenberg Capital analyst Joel Spungin in a note discussing the prospects of Hapag Lloyd. "We therefore still believe that some of the fuel price increase will be pushed back onto the shipping lines, at least temporarily." The carrier, who is opting for a predominantly fuel-based approach to compliance, has previously stated it expects costs to rise by $1 billion as a result of the new global 0.50% sulfur cap coming into force from 2020. Tanker owner/operators may have an easier task on their hands, according to Paddy Rodgers, CEO of tanker owner Euronav, because their customers will also be benefiting from the increased cost of the new fuels. But reinforcing the thinking on his company's own view on the matter, those opting for scrubbers and continuing to burn HSFO sourced "from an independent refiner or from some slurry bucket in Singapore" may have a tougher time passing on their costs, he adds. "You can pass through operating cost, particularly when the person you're passing it to is the person who benefited from the increased cost," Rodgers said during the firm's latest earnings call. "Whereas the capital spend that you made at the shipyard or to an industry marine equipment supplier and is now depreciating, you are not going to find so easy to pass through." 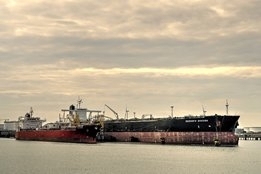 In contrast, scrubber advocates believe the high premium for compliant fuel and resulting short payback period for the technology will, at worst, render the task of passing on costs to customers a non-issue, and at best it will give them the opportunity for healthy profits over their non-scrubber equipped peers.